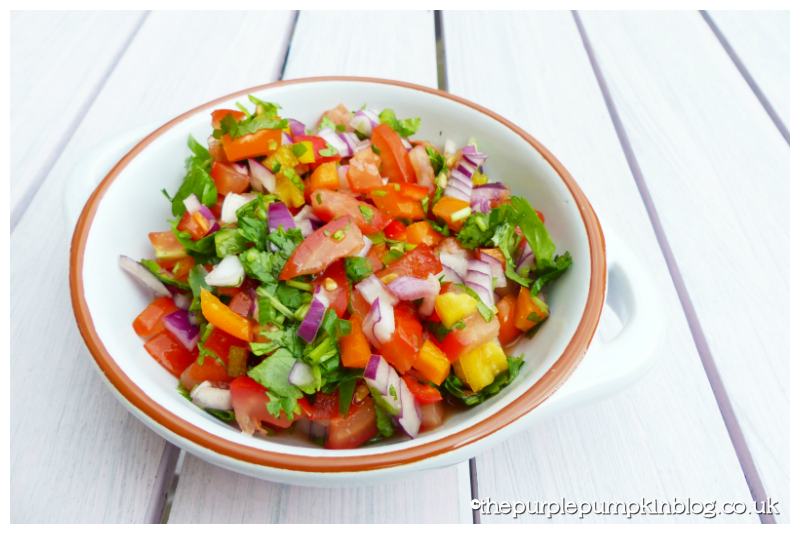 Pico de Gallo is a Mexican fresh salad made with tomatoes, onions, chillies, coriander and lime juice. There are variations, as with so many recipes, and I too tweaked the basic recipe to my own. It’s a great salad to have in your arsenal, is quick to make, and goes great with barbecued food, on tortillas and tacos, or just as a chunky dip. 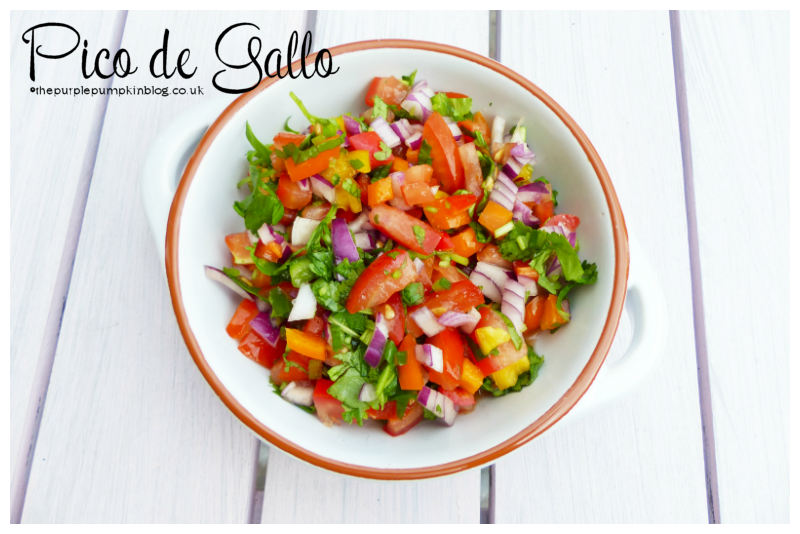 You only need a few ingredients to make Pico de Gallo, and it’s one of those that you can adjust to your personal flavour preferences too. 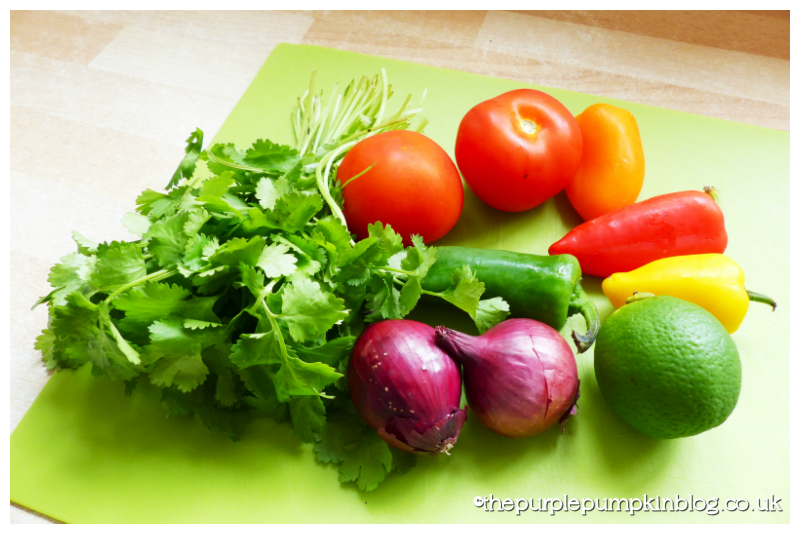 I used tomatoes, red onions, fresh coriander, a green chilli, bell peppers, garlic salt and fresh lime juice. All the ingredients are chopped finely, mixed together and then seasoned with garlic salt and lime juice. Giving exact measurements is tricky as I believe it’s all down to personal tastes with a dish like this! If you like your food hotter – add more chilli; don’t like heat – leave the chilli out! More tomato, less coriander..it’s all up to you! Add the chilli - to your heat level! Oh this looks like my kind of salad. I love the colours! That looks like a lovely fresh and colourful salad. Hopefully the summer will be here soon so we can start eating more things like this! That’s the beauty of a salad – switch it up to your tastes!